As a parent i would hate to feel helpless if my baby needed first aid and be unable to help. I luckily trained as a medic during my military career, but my wife still wanted to be able to perform basic first aid should something happen. 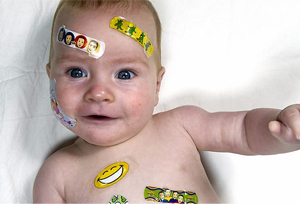 We searched for different courses and decided upon Babyem first aid training for parents. Highly recommended to all parents. Address: Hackney Forge, 243a Victoria Park Rd, London, E9 7HD. Directions: 2 minute walk from the centre of Victoria Park. Click here to view the content of the first aid kits. Babyem recognises how important it is for parents to have basic first aid skills and the confidence to use them in an emergency. We work in partnership with the London Ambulance to offer you the chance to learn skills that could save your child’s life. The Baby First Aid course is designed to build your confidence as a parent or carer in dealing with emergency situations. Our Baby First Aid training courses are delivered by highly experienced London Ambulance trainers who give you plenty of opportunity to practice techniques and ask questions. The Babyem Baby First Aid training courses are suitable for parents, expectant parents and carers of babies and young children. Sessions last 1.5 hours and babies are welcome!